Hi all- hope your week is going well. So far it has been a very busy one for me. This week I have a couple of things I am working on. First of all I have completed the three center blocks for the Feathered Star UFO. Now just have to complete the feather part. 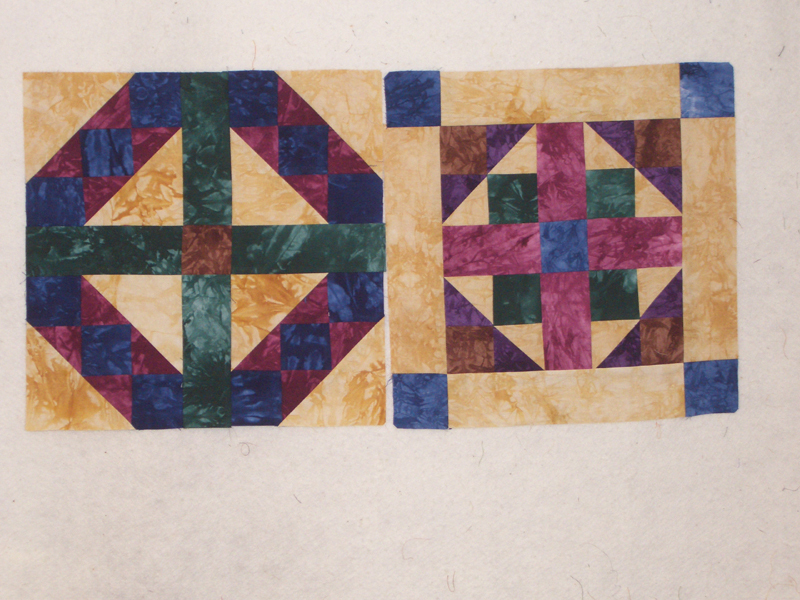 The second project that I am working on are the blocks for the Medallion Block of the Month. Below are the first two blocks, and hope to complete the second two this week. Hope you are working on something fun this week. Check out all the other Design Walls at Patchwork Times. 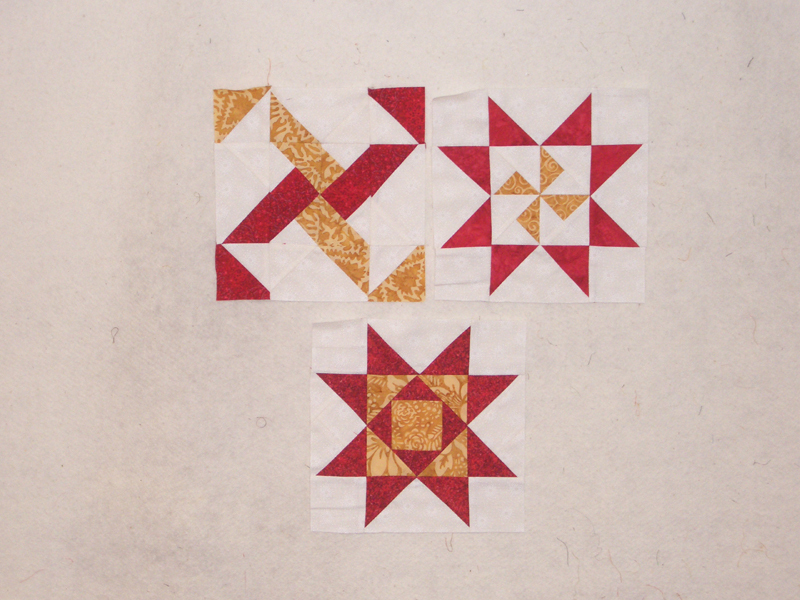 Mmmm, love those Medallion BOM blocks! I also like the BOM good job. This is nice - love getting a sneak peak of what you are working on.